Margaret had worked in the offices of Stevens and Lee Attorneys in Reading for many years. She had also formerly worked at Wynnewood at Wyomissing Apartments. She had also owned and operated for many years Paul and Peg’s Beauty Supply in Reading with her late husband. Music was a big part of her life and she loved to sing and dance. She was always an upbeat person and loved to make you laugh. She was always fashionable and loved to dress well. Her greatest treasure was her grandchildren and great grandchildren, with whom she loved to spend time. Margaret was a former member of St. Luke’s EC Church in Shillington, PA.
She is survived by her daughters: Brenda married to Michael Lutz of Lititz, and Deb married to Charles Kantner of Lancaster; her 4 grandchildren Jennifer Zepp, Erin Martin and Jeremy and Jonathan Kantner; her 8 great grandchildren Hunter, Chase, Alexis, Isabella, Jonny, Joseph, Aubree, and Emsley, and by her brother, Joseph Shannon of Reading. She was preceded in death by her siblings: Rita, Mary, and Bernie. Friends will be received on Friday, March 29, 2019 from 12Noon to 1PM at the Charles F. Snyder Jr. Funeral Home & Crematory, 3110 Lititz Pike, Lititz, PA with the Memorial Service to follow at 1PM. Interment at Indiantown Gap National Cemetery will be private and at the convenience of her family. In lieu of flowers, please make contributions in Margaret’s memory to the Schreiber Pediatric Rehab Center, Financial Development Office, 625 Community Way, Lancaster, PA 17603. Our sincere condolences at the passing of your mother. It seems she lived a good, full, long life. It is never easy to say the final goodbye. May you experience God’s perfect peace. Although I never had the honor of meeting you, I felt I knew you through Brenda and Erin. They spoke to me about your sense of style, grace and individuality. I know your life was happy and blessed. How lucky you family was and is to be able to walk in the world for you now. May your new journey be as wonderful as your life here on earth has been. My sincere sorrow and prayers to you and your family I’m fortunate to know. We were so saddened to hear that our Dear Peg has left us. What a gracious and lovely lady she was. 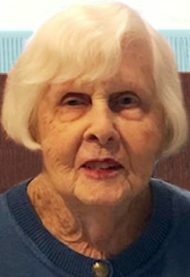 Mom’s life at Evergreen Estates was so enriched by her deep friendship with her best friend. Rest in peace. sweet Peg.